KIWI Services has 30 years of experience in water damage repair and can get your home back to its freshest state in no time. 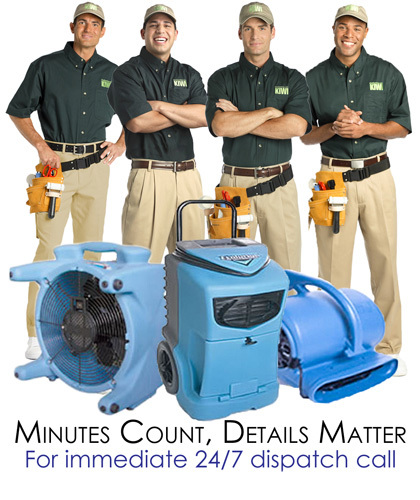 We can address all of your water damage needs from burst pipes to natural disasters. Your water damage technician will thoroughly extract standing water, dry the contents of your home, disinfect the surfaces, and monitor the moisture levels inside your home to prevent mold and mildew. Waterdamagecanbeachallenging issue to deal with as a homeowner, and KIWI Services will be there every step of the way. We are ready to handle every water damage problem that your home may have and are proudly certified by the Institute of Inspection Cleaning and Restoration. We promise to return your home back to a healthy, clean, and dry condition again. Plus, as your home is being treated for water damage, we offer a temporary storage space for your belongings with a complimentary pick-up and drop-off service. If your home has water damage, call KIWI Services immediately for Waxahachie water damage repair and extraction services.